Alter The Press! 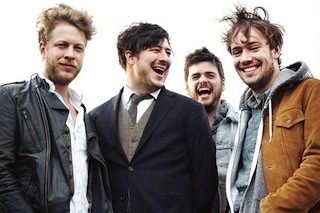 : Mumford & Sons Release New Song "Snake Eyes"
Mumford & Sons Release New Song "Snake Eyes"
Mumford and Sons are back with yet another taste of their Wilder Mind, the band’s new electric album set to hit record shelves on May 4th through Glassnote Records. Following “The Wolf” and “Believe” comes a slow-churning rocker called “Snake Eyes.” Watch the accompanying live performance video below.